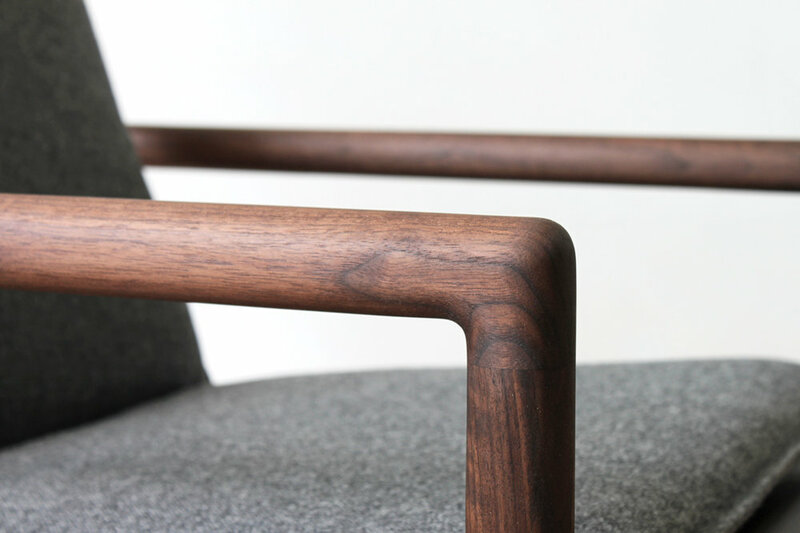 Soft shapes in a defined form. 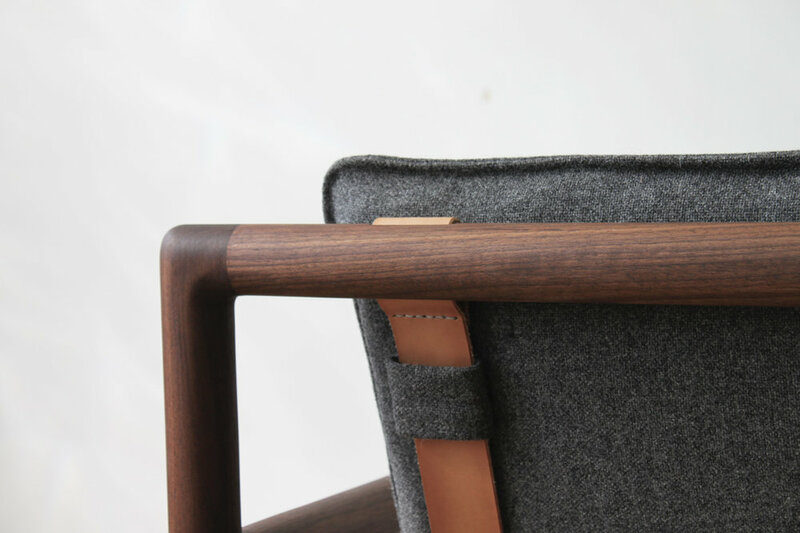 A sculpted dowel framework supports thin but plush upholstery. 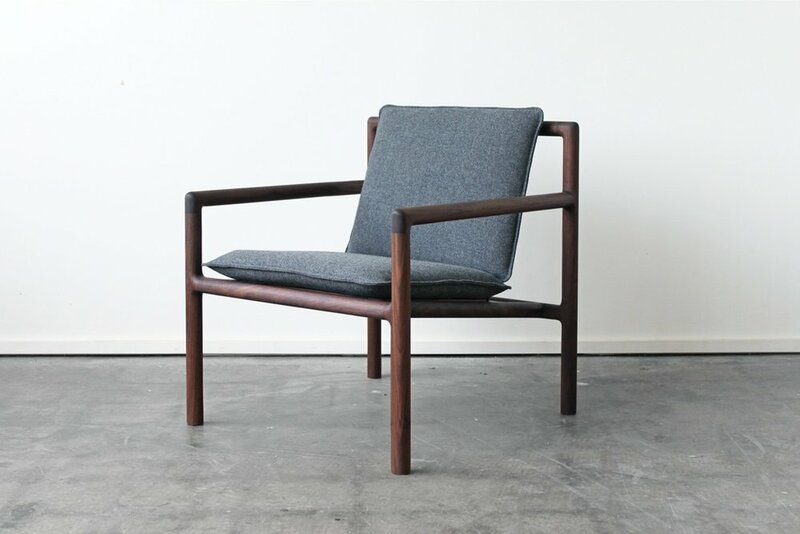 Available in walnut, oxidized oak or bleached ash, with 100% wool Maharam or leather upholstery.